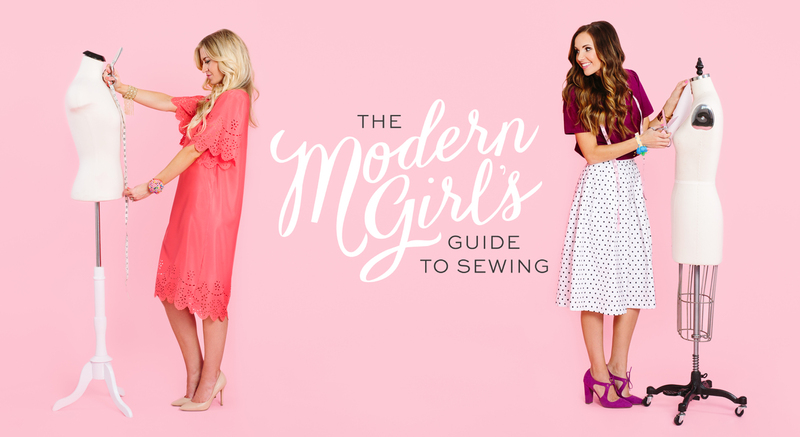 WELCOME TO THE MODERN GIRL’S GUIDE TO SEWING! A two-part online video course that will teach you everything you need to know about modern clothing construction, from turning your sewing machine on to creating your very own handmade wardrobe. Scroll down to get started! Brand new to sewing? Start here with our beginner’s course! These videos will give you a complete overview of the skills and tools you’ll need to create a strong sewing foundation. Know all the basics? Then our intermediate course will be perfect for you! It’s time to get into the really fun skills that will teach you how to make a completely custom dress. After five years of friendship, a collective nine years of sewing blogging, and hundreds of apparel sewing tutorials between the two of them, best friends Leanne and Merrick have come together to create The Modern Girl’s Guide to Sewing.